A loan of $400 helped to buy seeds and start horticulture farming, which will help this single mom who always smiles to provide a better life for her children. Meet Tabitha, a single mom who is full of smiles. She loves her children, warts and all, and has always battled to support them. Tabitha is very hard working and a go-getter. Tabitha hails from a remote village in the Maua area of Kenya. This area has tough living conditions and, to survive, you must have tough skin. But Tabitha has defied all the odds and has been engaged in farming for the past ten years. Her primary sources of income come from vegetables, trees, and animal farming. She also gets some income through a personal business. Tabitha is content with the farming way of life and she believes she is on the right path for success. 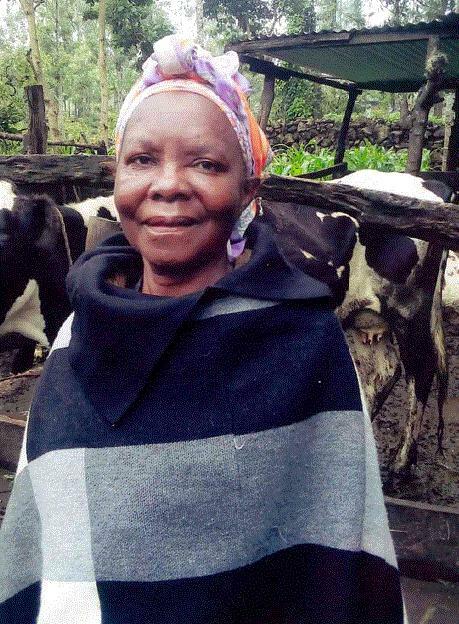 The Maua area has favorable conditions for horticulture farming, and that is why Tabitha is seeking a loan to buy seeds to expand her horticultural farm. Because of the good roads, a good climate and a good transportation network, she is sure that she will reap maximum profits and be able to increase her business. Being a single mom and accessing funds in Maua is very challenging, but Tabitha feels relieved knowing there are institutions such as Kiva that help enterprising women like her.